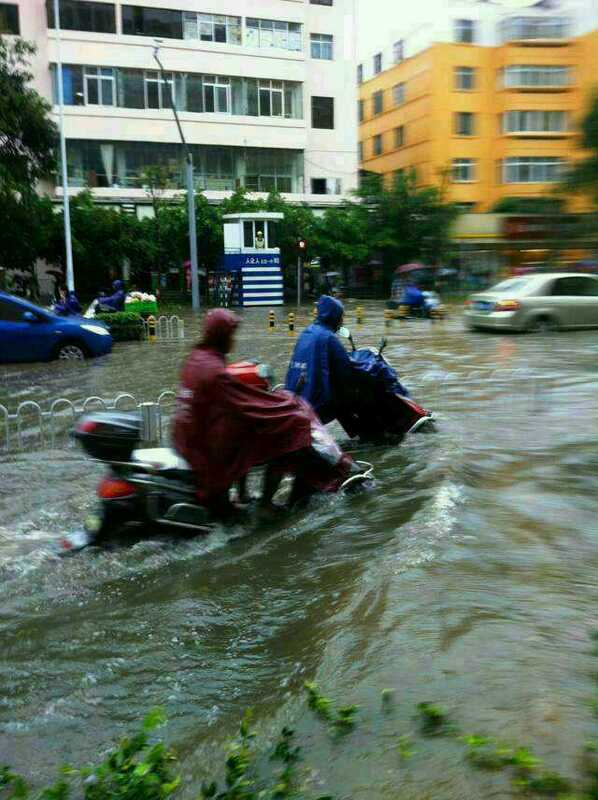 Sadly Kunming has had A LOT of rain these last two days. I've never experienced anything like it, first time I've had a 'rain day' off work. Can I be the first to say that if there's one of those summer storms where it really tips down this weekend then I'm stripping naked in my garden. Jeez, I'm clammy! Nice to meet you clammy! There is no way that bloke on the scooter has got the engine running. It's not a scooter, it's an e-bike, mine was also running fine, although I didn't go through anything as deep as that. Here's one from my phone.